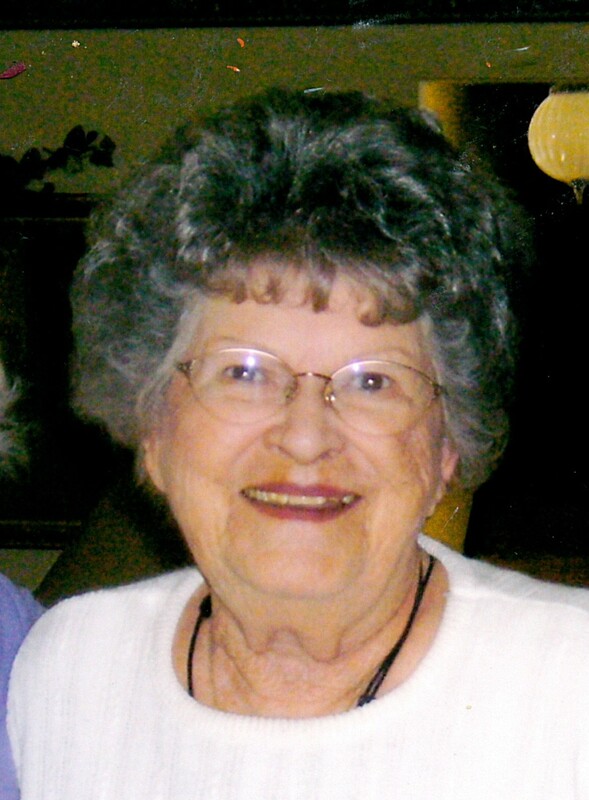 Mary Louise (Cooper) Darnell, age 84, of El Dorado Springs, Missouri, passed away October 10, 2013, at Mercy Hospital in Springfield, Missouri, after a short illness. Mary was born October 9, 1929, in Clinton, Missouri. She was the daughter of George and Geraldine Cooper. They moved to El Dorado Springs, Missouri, when Mary was thirteen and she remained here the rest of her life. Mary accepted Jesus as her personal Savior as a young wife and mother and was a member of the First Baptist Church of El Dorado Springs, Missouri. Mary married Jim Darnell on August 8, 1946 and they were married sixty-two years when Jim passed away on June 9, 2008. To this union two children were born, Dennis Darnell of Springfield, Missouri and Georgia Darnell Nading of El Dorado Springs, Missouri. Mary and Jim loved to travel on road trips. They made many trips to Estes Park, Colorado, with their friends, Jim and Lacy Casey. They loved visiting friends in Louisiana where Mary enjoyed the crawfish boils. They made trips to visit their son and family to the states where Dennis coached football: North Carolina, Iowa, New Mexico, Utah, Oklahoma, and Colorado. Through the years, Mary developed many long-lasting friendships. She will be missed by her coffee buddies with whom she met every day until her illness took its toll. Preceding her in death were her parents, George and Geraldine Cooper, and her husband, Jim Darnell. Survivors include her sister, Jerry Lamar of Grandview, Missouri; her son, Dennis Darnell and wife, Karen, of Springfield, Missouri; daughter, Georgia Nading and husband, Bill, of El Dorado Springs, Missouri; three grandsons: Steve Nading and wife, Cary, of El Dorado Spring, Chad Nading and wife, Jennifer, of Kansas City, Missouri; and Pete Darnell and wife, Hilary, of Denver, Colorado; five great-grandchildren: Trevor, Sonja, Caleb, Nathanael, and Mary; and many nieces and nephews. Mary, who was affectionately known as “Binga” to all of her grandchildren and great-grandchildren, will be deeply missed by her family and friends. They will all be looking forward to seeing their loved one again when they are reunited in Heaven one day.